I loved the movie Mary Poppins when I was small, and surely will still love it whenever I see it again. The charm of the story combined with such a well-cast ensemble and the magic of cinematic technology are hard to surpass. I loved the sweetness and buoyancy of the tale and its jolly playfulness and the marvelous escapism of it all. Those were surely the characteristics the filmmakers intended to capture children’s hearts and attentions. But perhaps more than any other thing about that movie, I think, I loved the song Feed the Birds. It seemed such a small thing in the scope and scale of the whole production, but that, in fact, may be precisely what makes it still stand out in my mind. That, of course, must have been part of the grand plan as well. Clearly, it worked on me. As little and secondary as it may have appeared in the grand scheme of the cinematic version of the story, that song’s piquant minor melody and, especially, its very allusion to the importance of the seemingly insignificant stay with me and move me even when little else of the film’s specifics remain in my memory. I’ve read that this was precisely the intent of the piece and its inclusion in the film. Clever, that Mr Disney and his professional storytelling cohort. Clever, and they weren’t wrong either. 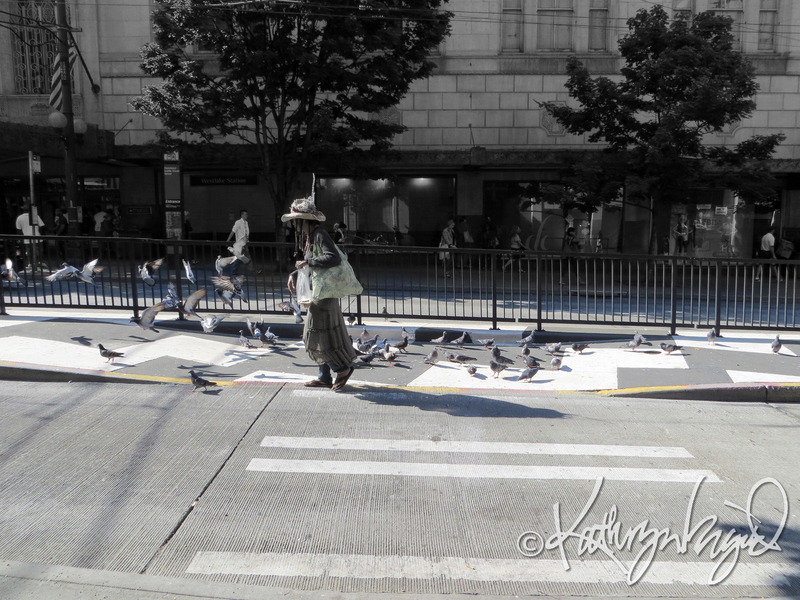 The beggar urging passersby to trade their tuppence for her packets of bird seed, as well as the birds hungering for it in the hardscape of the city are both easily avoided, neglected or despised by the better fed citizens who might rather brush them off than admit to their existence. That little vignette reminds us, and rightly so, just how much those persons, creatures and events we’d often prefer to ignore or deny really mean. Their loss or abandonment creates a much more profound emptiness than their seemingly small stature could possibly imply. It’s the barrenness of spirit, of humaneness and hospitality, of compassion and grace in the rest of us, that is the real cost of failing to tend to the weak and small. And it can be the smallest gesture, tiny as a handful of bird seed, that opens the way for healing and humanity and hope. This entry was posted in Animals, community, History, Human Nature, Love, Music, Nature, Peace, Thinking Aloud and tagged birds, community, Feed the Birds, human nature, invisibility, Mary Poppins, movie, musical, Peace, photo, pigeons, poverty, small but important, the least of these by kathryningrid. Bookmark the permalink.